All this flying around got on my nerves. But then I gave the script to Cathy to get her opinion. 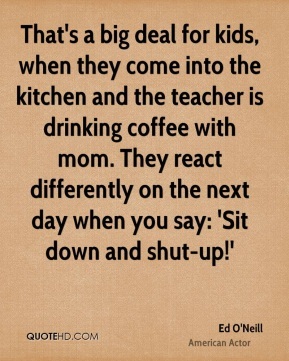 When she started to laugh, it was like 'That's it!'. I went to LA and I got the part. Back then I said to myself 'screw football.' Actually I just took part in this camp as there was nothing better for me to do. 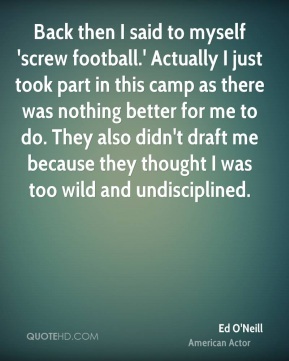 They also didn't draft me because they thought I was too wild and undisciplined. I knew I was a good stage actor but I had no idea about movies. 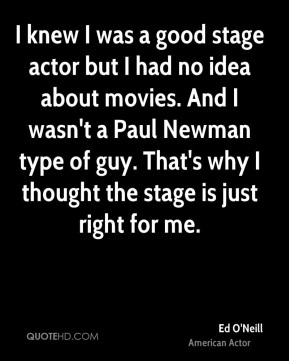 And I wasn't a Paul Newman type of guy. That's why I thought the stage is just right for me. I think I 'turn off' women. I've a kind of a weird personality. 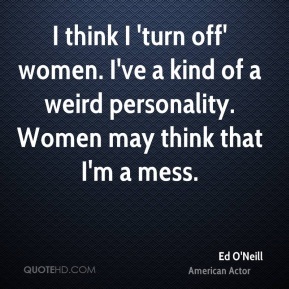 Women may think that I'm a mess. 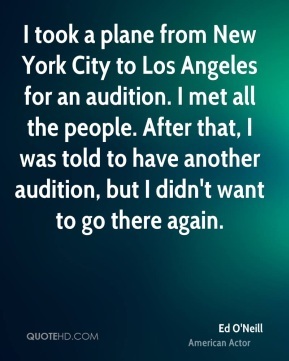 I took a plane from New York City to Los Angeles for an audition. I met all the people. After that, I was told to have another audition, but I didn't want to go there again. I was very slender and small. All my friends were on the team, so I had to make it too. 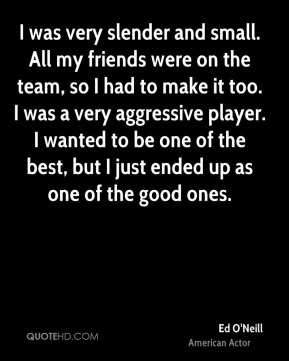 I was a very aggressive player. I wanted to be one of the best, but I just ended up as one of the good ones. I went to Ohio University studying arts and history, and playing football. But I was only interested in girls, my pals and sports. I only did the minimum for school. 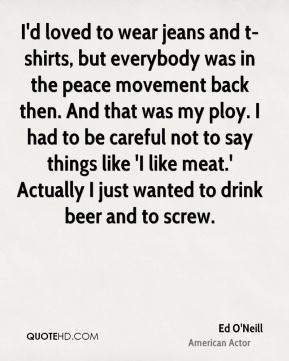 I'd loved to wear jeans and t-shirts, but everybody was in the peace movement back then. And that was my ploy. I had to be careful not to say things like 'I like meat.' Actually I just wanted to drink beer and to screw. In the summer we graduated we flipped out completely, drinking beer, cruising in our cars and beating up each other. It was a crazy summer. That's when I started to be interested in girls. 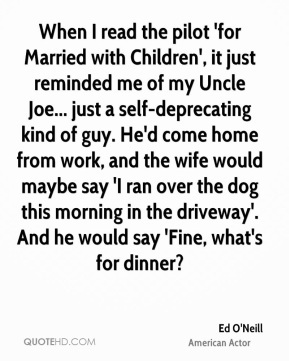 When I read the pilot 'for Married with Children', it just reminded me of my Uncle Joe... just a self-deprecating kind of guy. He'd come home from work, and the wife would maybe say 'I ran over the dog this morning in the driveway'. And he would say 'Fine, what's for dinner?